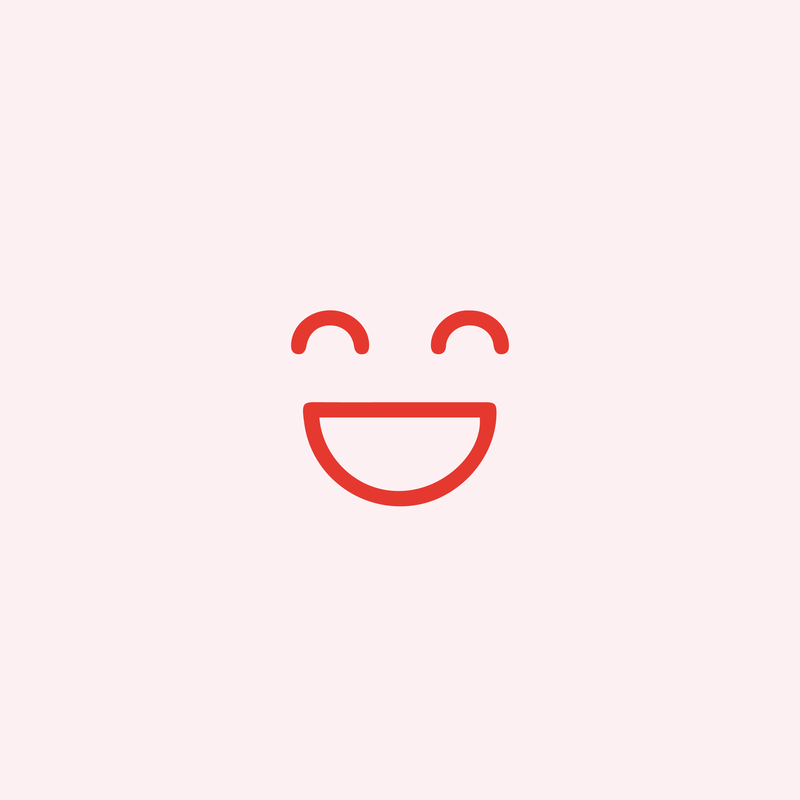 By leveraging off highly unstructured scenarios, we add value through creating discomfort. read through our case studies below or book a consultation. South Africa is a land of extremities and stark contrasts. This is particularly evident with the location of St John's on the border of Yeoville and Berea. Louis Botha Avenue separates the opulent and privileged lifestyles of Houghton and under-resourced communities on the other side of the road. Dlala Nje was brought in for the Africa @ our feet program for the Grade 9's. The idea was to explore and leverage off of St Johns' proximities. These proximities hold stigmas for parents, teachers and pupils. How do we deconstruct notions of these areas by intimately exploring them? Is there a possibility of challenging the perceptions of the parents through curricular activities of the pupils? St John's hosted an eclectic bunch of speakers aimed at exposing the pupils to the African diaspora and hardships that cultivated a resilient and pragmatic city in transition. 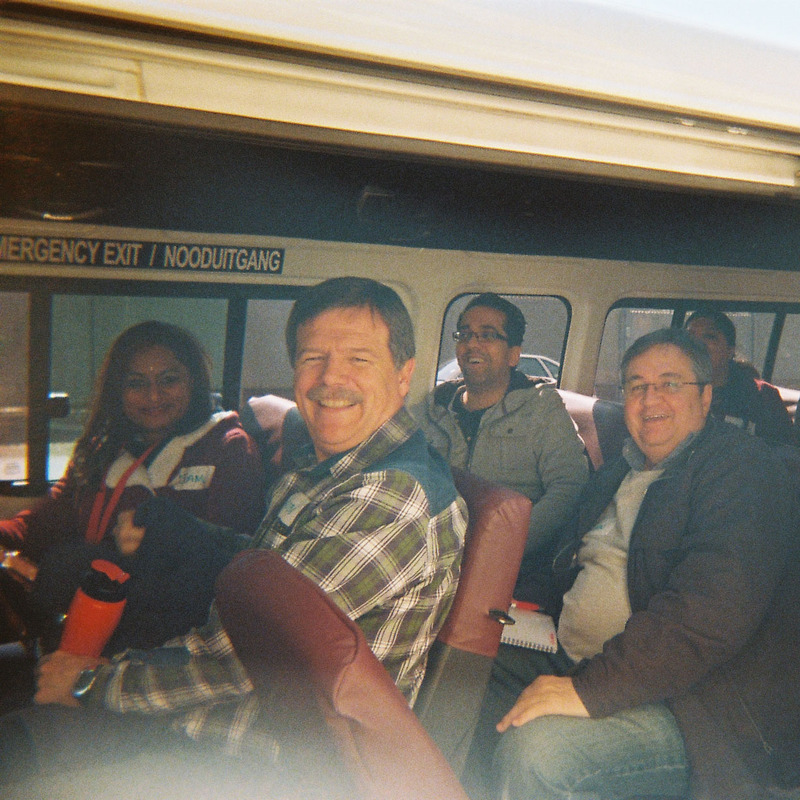 Our experiential learning field trip began to layer and compliment the program through thought-provoking experience. Pupils now had the opportunity to have an opinion of their own about these districts, sometimes challenging the outdated views of their families and teachers. This kind of dialogue is imperative in our country at the moment. Our client wanted to better understand their youthful market more empathetically. On the ground. At school. Our good friends over at Yeoville Community School allowed us to undisturbingly immerse our clients into their school. We managed to inform a strategy through rich and youthful interactions. As part of their Global Executive Development Program (GEDP), business delegates are exposed to more social entrepreneurship initiatives. Social entrepreneurship offers more responsible solutions to economically-disparate societies. How do we physically embody a shared value approach into our ethos and culture? Who does it stand to benefit? Ponte Tower provides an unapologetic history and also resembles a microcosm of South Africa in one building. Dlala Nje's model within this building serves the youth and creates opportunities for them, whilst remaining sustainable. Exploring the neighbourhood around Dlala Nje also introduces delegates to our partners and friends in our area, emphasising our local and collaborative spirit. We exposed delegates to an alternative approach to doing business. One that embodies greater social responsibility. The affectionate and ever-cherished South African brand has developed an infectious company culture. This is mostly as a result of investing whole-heartedly into it's people. The culture has been nurtured and even reciprocated by the international market. How do we introduce the unpretentious beginnings of a Johannesburg inspired brand to Nandocas that aren't from here? Using negatively-stereotyped notions of Johannesburg, we curated a perspective challenging experience. We emphasised the richness and complexity of the city that groomed Nando's. Surprise and delight were added to the mix when we loaded first time visitors to Johannesburg onto superbikes. The adrenaline took the guests through the belly of Ponte where we had an opportunity to tell it's story. One that represents cyclicality, migration, hustle and acceptance. Strong themes at Nando's. Driving home a culture or theme through experience enabled us to think differently, find beauty in negative spaces and build loyalty through experiential appreciation. As South Africa becomes increasingly polarised, so do work environments, which ultimately disconnects us from one another and our customers. In some cases we develop a complacent and reactive corporate persona. We needed to introduce an experience that encourages bold, industry defining steps toward innovation. The risk of failure and a very uncertain climate should be embraced to build confidence in decision-making. The setting for an uncertain environment was created when we immersed predominantly analytically minded bankers in a creative space. 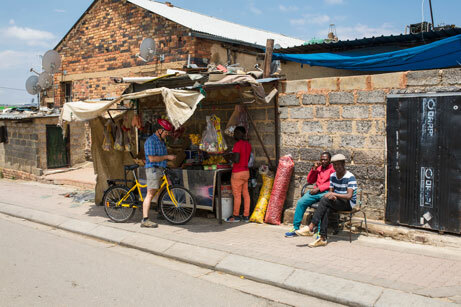 We curated an immersion of the inner-city of Johannesburg through the Creative Arts. We produced a list of notable South African authors, locations around the inner-city for props, and strict appointments with mentors. The groups had half a day to produce a theatrical, spoken word performance to a theatre full of children in The Hillbrow Theatre. The added pressure set the scene for a proactive engagement. The performances were amazing and exceeded everyone's expectations. The debrief not only illustrated greater confidence but also grew theatre appreciation. THE CHALLENGE South Africa is a land of extremities and stark contrasts. This is particularly evident with the location of St John's on the border of Yeoville and Berea. Louis Botha Avenue separates the opulent and privileged lifestyles of Houghton and under-resourced communities on the other side of the road. Dlala Nje was brought in for the Africa @ our feet program for the Grade 9's. The idea was to explore and leverage off of St Johns' proximities. These proximities hold stigmas for parents, teachers and pupils. How do we deconstruct notions of these areas by intimately exploring them? Is there a possibility of challenging the perceptions of the parents through curricular activities of the pupils? WHAT WE CURATED St John's hosted an eclectic bunch of speakers aimed at exposing the pupils to the African diaspora and hardships that cultivated a resilient and pragmatic city in transition. Our experiential learning field trip began to layer and compliment the program through thought-provoking experience. Pupils now had the opportunity to have an opinion of their own about these districts, sometimes challenging the outdated views of their families and teachers. This kind of dialogue is imperative in our country at the moment. THE CHALLENGE Nickelodeon had recently done some ground-breaking research around understanding their trend setting market segment. Children weave through popular culture quicker than it can reinvent itself, making it a tough market to produce Our client wanted to better understand their youthful market more empathetically. On the ground. At school. How do we intertwine the spirit embodied in Nickelodeon's research team using environment, target market and nostalgia? In what ways would we allow the WHAT WE CURATED Our good friends over at Yeoville Community School allowed us to undisturbingly immerse our clients into their school. We managed to inform a strategy through rich and youthful interactions. 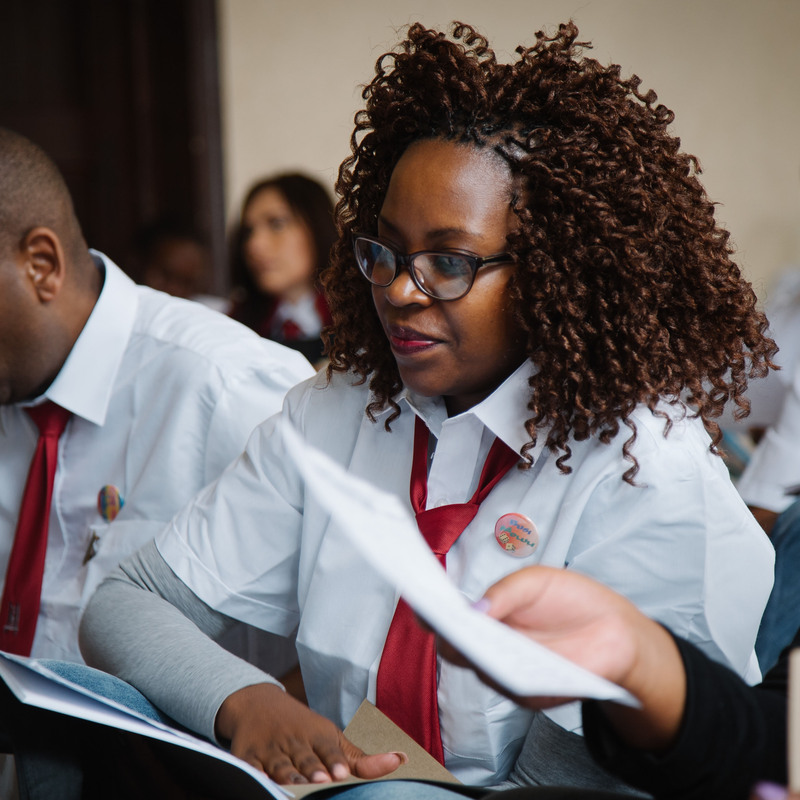 The challenge: As part of their Global Executive Development Program (GEDP), business delegates are exposed to more social entrepreneurship initiatives. Social entrepreneurship offers more responsible solutions to economically-disparate societies. How do we physically embody a shared value approach into our ethos and culture? Who does it stand to benefit? What we curated: Ponte Tower provides an unapologetic history and also resembles a microcosm of South Africa in one building. Dlala Nje's model within this building serves the youth and creates opportunities for them, whilst remaining sustainable. Exploring the neighbourhood around Dlala Nje also introduces delegates to our partners and friends in our area, emphasising our local and collaborative spirit. We exposed delegates to an alternative approach to doing business. One that embodies greater social responsibility. THE CHALLENGE The affectionate and ever-cherished South African brand has developed an infectious company culture. This is mostly as a result of investing whole-heartedly into it's people. The culture has been nurtured and even reciprocated by the international market. How do we introduce the unpretentious beginnings of a Johannesburg inspired brand to Nandocas that aren't from here? WHAT WE CURATED Using negatively-stereotyped notions of Johannesburg, we curated a perspective challenging experience. We emphasised the richness and complexity of the city that groomed Nando's. Surprise and delight were added to the mix when we loaded first time visitors to Johannesburg onto superbikes. The adrenaline took the guests through the belly of Ponte where we had an opportunity to tell it's story. One that represents cyclicality, migration, hustle and acceptance. Strong themes at Nando's. Driving home a culture or theme through experience enabled us to think differently, find beauty in negative spaces and build loyalty through experiential appreciation. THE CHALLENGE As South Africa becomes increasingly polarised, so do work environments, which ultimately disconnects us from one another and our customers. In some cases we develop a complacent and reactive corporate persona. We needed to introduce an experience that encourages bold, industry defining steps toward innovation. The risk of failure and a very uncertain climate should be embraced to build confidence in decision-making. WHAT WE CURATED The setting for an uncertain environment was created when we immersed predominantly analytically minded bankers in a creative space. 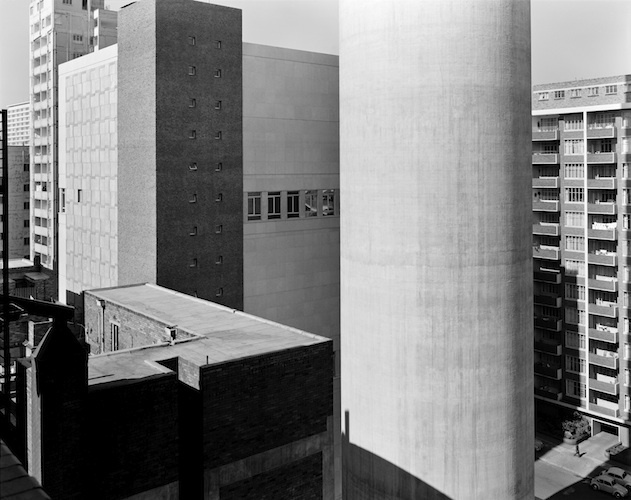 We curated an immersion of the inner-city of Johannesburg through the Creative Arts. We produced a list of notable South African authors, locations around the inner-city for props, and strict appointments with mentors. The groups had half a day to produce a theatrical, spoken word performance to a theatre full of children in The Hillbrow Theatre. The added pressure set the scene for a proactive engagement. The performances were amazing and exceeded everyone's expectations. The debrief not only illustrated greater confidence but also grew theatre appreciation.